We’ve Been Nominated For A WEGO Health Award! Aunt Becky and The Band have been nominated to receive a WEGO Health Award in the “Best In Show: Community/Forum” category! co-hosted by the Society of Participatory Medicine at the Connected Health Conference. To be able to attend this conference to interact, network, and collaborate with other Patient Leaders would be so amazing! 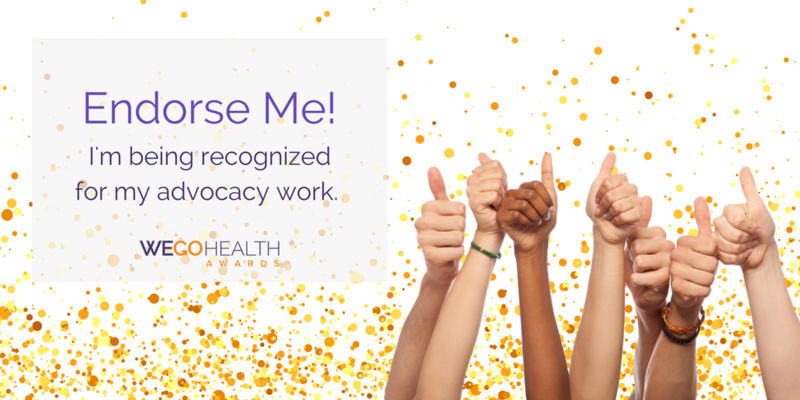 This award brings recognition to us from the health community, visits from patient advocates, and most importantly, more traffic from people who need our resources and stories. Can you help us by giving your endorsement for The Band? We’d love you forever and ever!! Thank you so much The Band, we COULD NOT do this without you!! !